We're behind you all the way Manu Samoa! “Win or lose, Samoa will always support their Manu Samoa,”said Prime Minister Tuilaepa Sailele Malielegaoi, who is also Chairman of the Samoa Rugby Union. The crucial Manu Samoa game today is to qualify for the next World Cup in 2019 in Japan. The game against the Flying Fijians will kick off at 2:00pm at Apia Park. During his conference with the media, Tuilaepa noted that despite the disappointing games of the past, Samoa will always back their boys in blue. “The boys are ready. “They have been ready and cannot wait for game day,” he said on Thursday evening. The Prime Minister further noted that each time the Manu Samoa loses, he gets blamed. “They say to remove the Chairman, as if I’m the one playing on the field, which led to the team losing the game. “Nonetheless we shouldn’t worry. 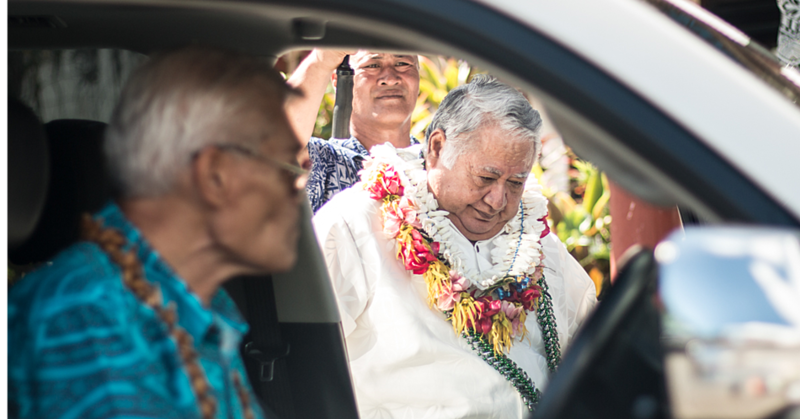 I am confident, they are ready,” said Tuilaepa. The Prime Minster then issued a public appeal for every Samoan to remain true to their faith by supporting our boys in blue, our Manu Samoa. Tuilaepa concluded, noting his own confidence in the side. Head Coach Namulauulu Alama Ieremia admits it will be a tough game against the Flying Fijians today. “I am confident in the boys,” he told Samoa Observer. At the Captain’s Run yesterday, Namulauulu said, “Everyone’s definitely tense but we’re going quietly around our preparations,” he said. “We realize the enormity and obviously the significant of this game and it’s important for us to get the preparations right because we have to respect the Fijian team. “They are very good team and they’ve had successes in the last few weeks and we know it’s not going to be easy for us. Namulauulu reiterated the importance of this game and for the players not to get distracted by other distractions. Regarding the changes of the team with prop Viliamu Afatia being replaced by Jordan Lay, the Head Coach said it’s time to bring in the young players. “When you play Fiji, it’s important that the work load has to be right up there. A first year, Jordan and his brother James is also on the bench. 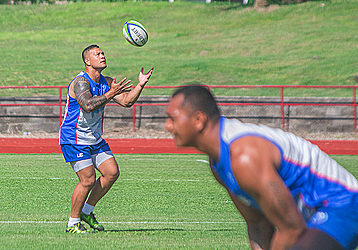 “For brothers to come and play for the Manu Samoa is great. “Especially with a lot of experience with the other props that we have. “So in other ways this is a transition of the guard I suppose. “And we’ve got young props that are coming through, so it’s a completely different front row from when we started. 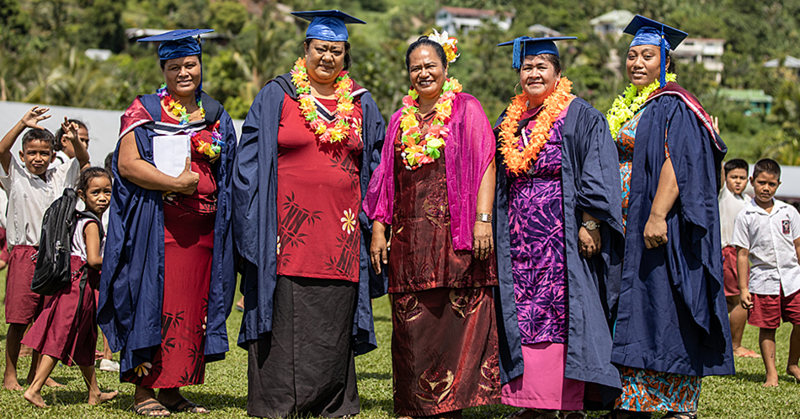 For the people of Samoa, Namulaulu, noted the importance of this game. “And the boys are not forgetting that. “This week we have made sure our preparations are going well and not worrying about anything. We have made sure the boys use the ball and play confidently at all times. This is the best team and having Jack Lam back at number 7 is relatively important to the team. “We have a lot of experience in the backs. “And I suppose from the punter’s point of view, we let ourselves down inthe Tongan Game because of our lack of patience and holding on to the ball too much. “And when you’re at the test level for some of the new players, you’ve got to realize that position is everything for playing in the right areas of the game. “It’s been costly but we are driven to make sure that we fix those problems this week,” said Namulauulu.